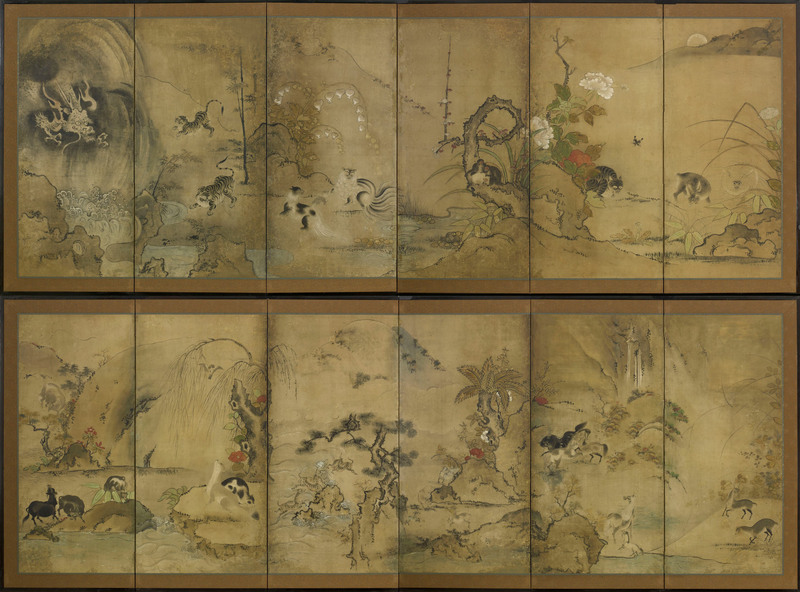 6254/55 A pair of six-fold paper screens painted in ink and colour on a buff ground with animals including deer, horses, tigers, monkeys, hares and a dragon in a river landscape. SKU: 6254_55. Categories: Screens, Six Fold.